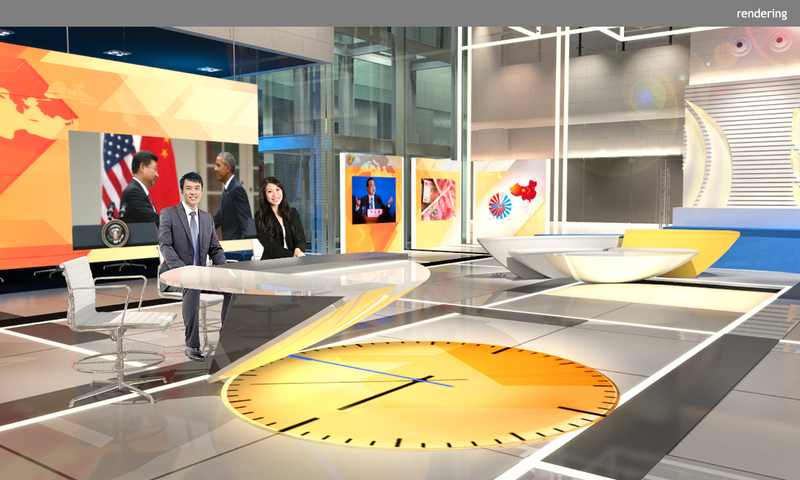 Taking formal cues from the converging internal structure of a towering four-story atrium, Clickspring’s latest contribution to the Chinese media market occupies what was once a sparse, street-facing building lobby. 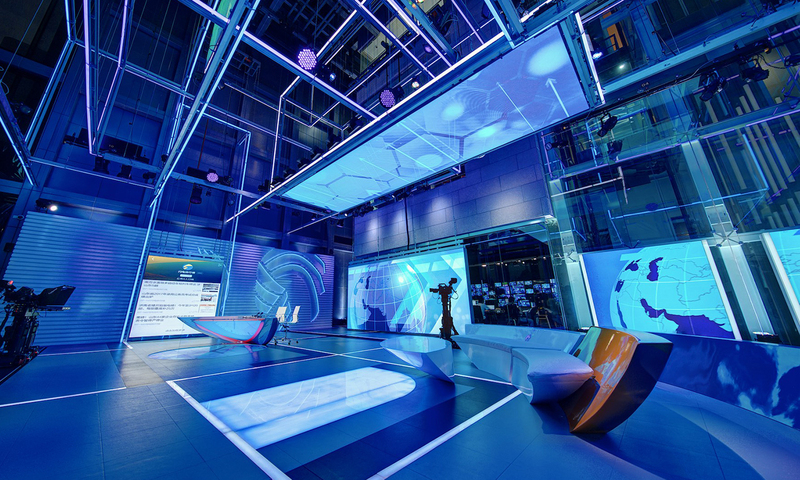 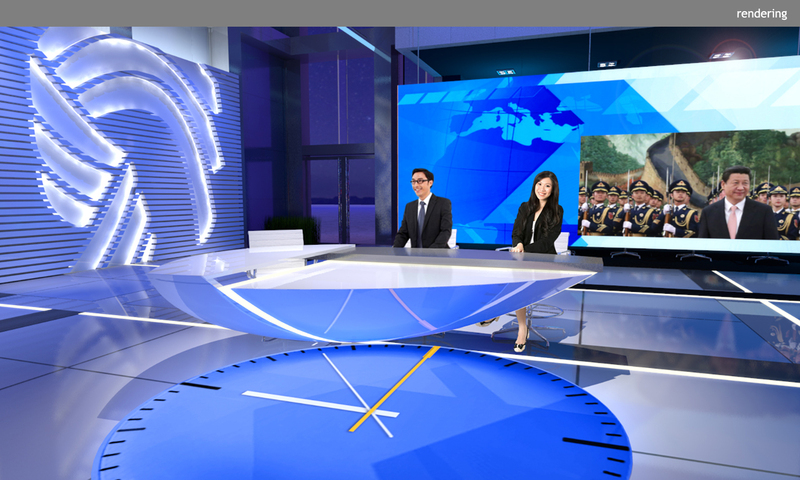 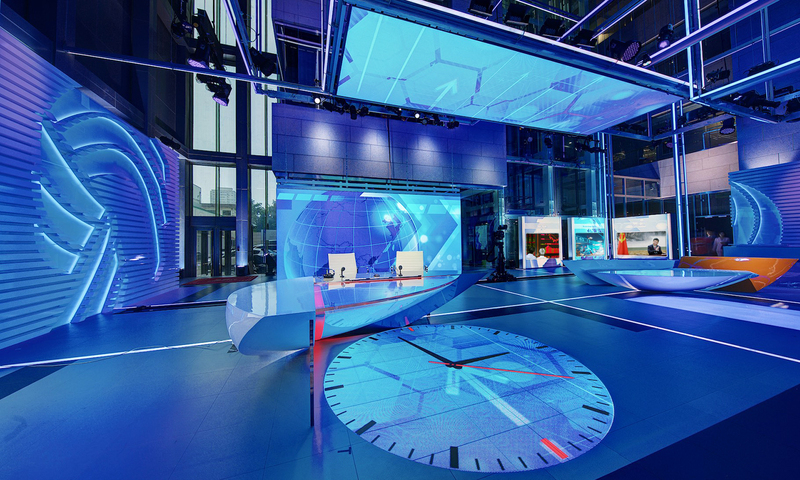 Making its debut on the Shandong TV Network, the versatile broadcast environment boasts a series of suspended and floor-mounted interlaced LED light frames engineered specifically for the project, LED video walls that raise and lower, and LED floor insets. 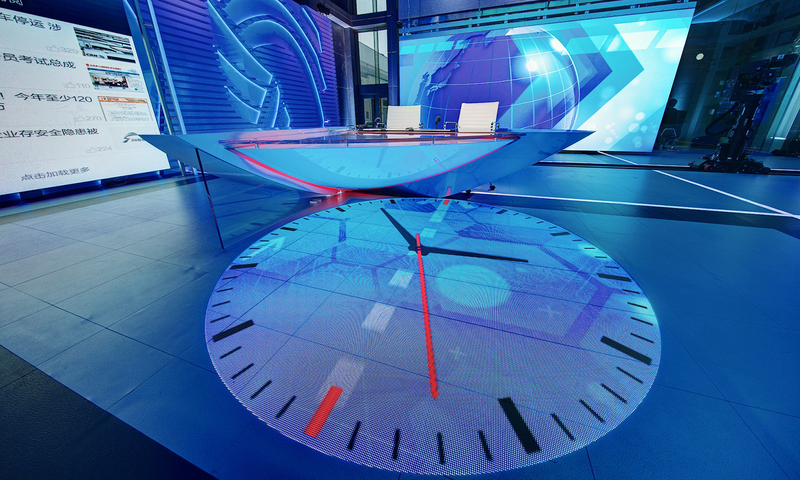 These mutable elements accommodate dramatic shifts between daytime and primetime studio atmospheres while establishing a strong brand lexicon. 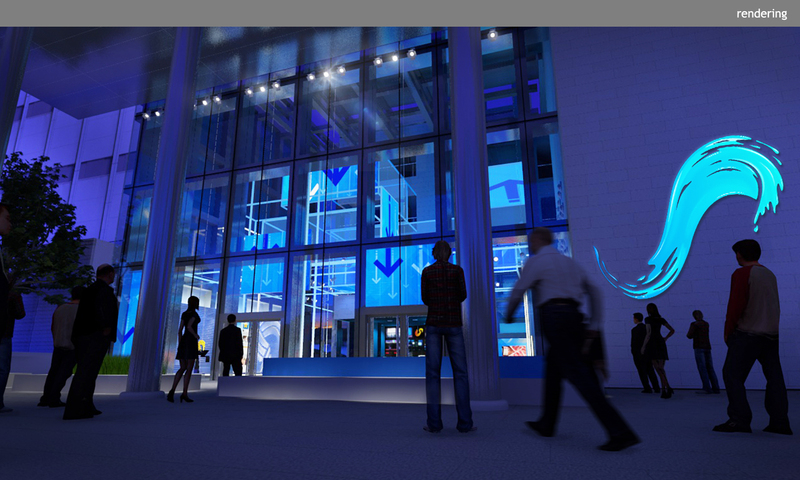 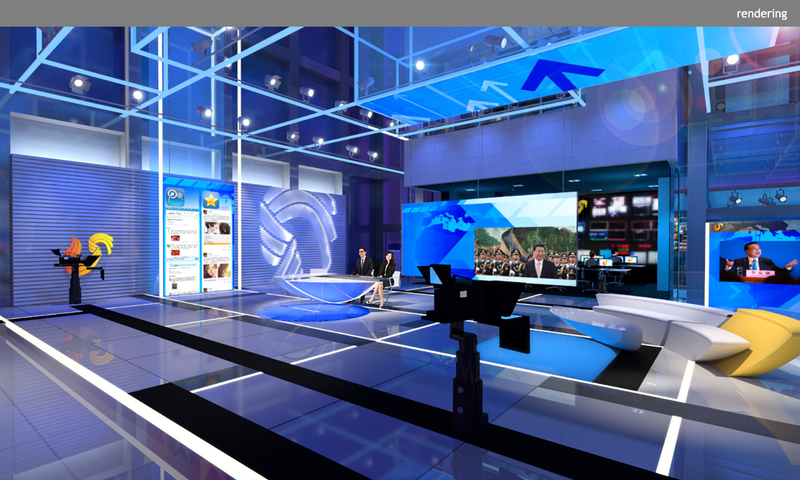 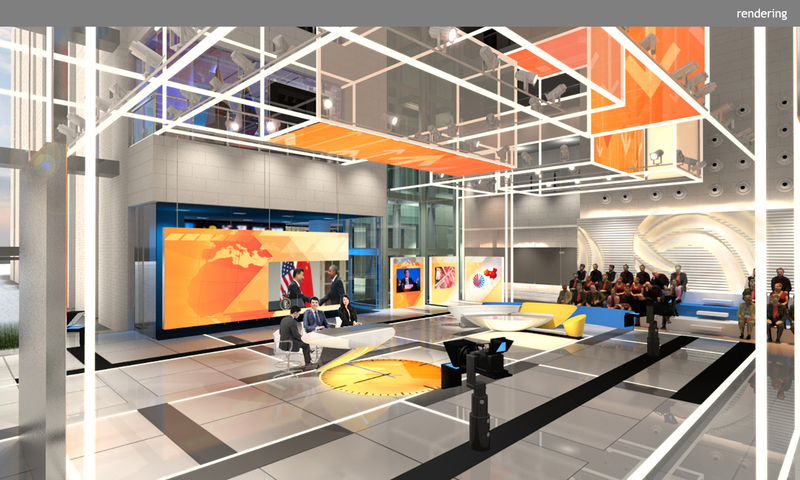 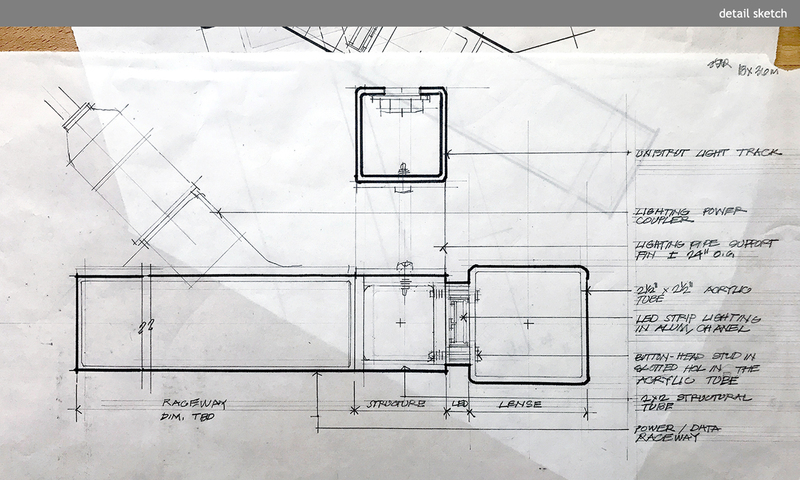 In addition to the main studio, the project’s scope includes three smaller, dedicated broadcast studios and four floors of branded editorial newsrooms. 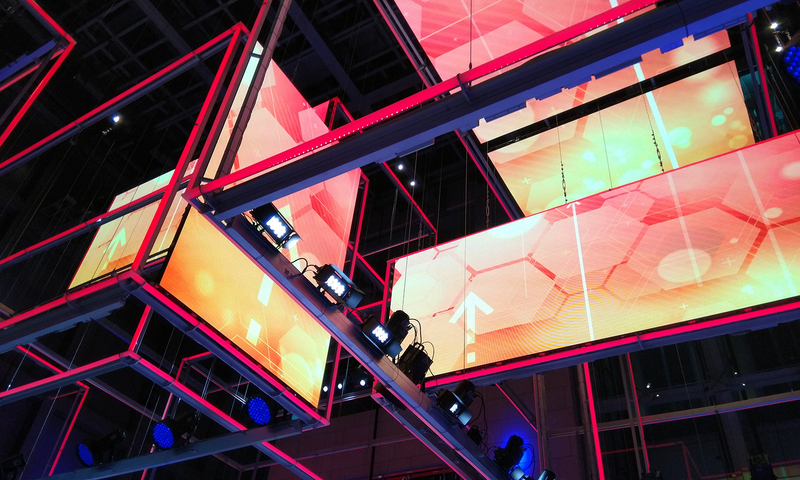 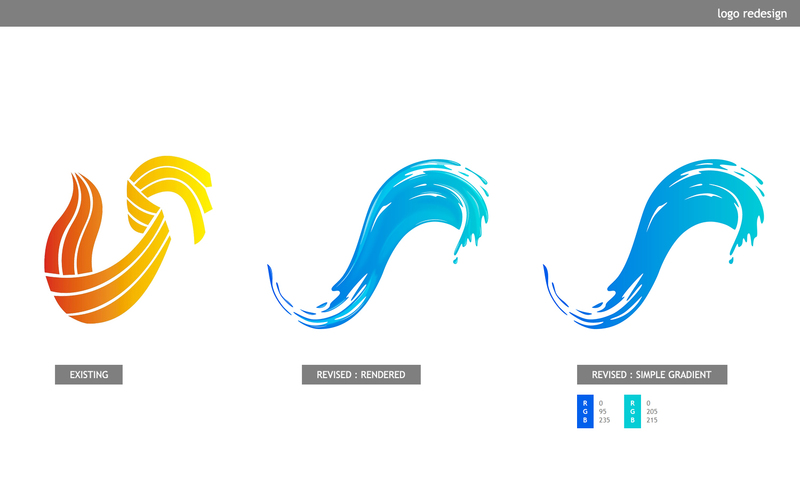 This broad scope allows for a cohesive, forward-thinking brand aesthetic to be carried through the myriad environments the network depends upon for their day-to-day operations.